This week our Sunday School classes begin a summer-long study of According to Plan: An Introduction to Biblical Theology. It is not hyperbole to say Graeme Goldsworthy’s book was revolutionary in my understanding of Scripture, theology, hermeneutics, and preaching. Maybe you’ve had a similar experience with him; I know many friends and ministers of the gospel who have. If you have not read him—or heard of him— let me whet your appetite. The first seven chapters of his book outline a basic methodology for biblical theology. Without including everything, I’ve laid out fifteen axioms about biblical theology from his introduction. Certainly, these axioms do not exhaust the subject. They don’t even exhaust Goldsworthy’s contribution (see his Christ-centered Hermeneutics and Christ-centered Biblical Theology), but they do make a sizable dent in introducing “how” to do biblical theology. So, take up and read. Tolle Lege. Then go back to Scripture with a greater hunger and skill in seeing Christ in all Scripture—the personal and spiritual aim of all good biblical theology. Biblical theology is more than being “biblical” in our theology — “Deciding to be biblical, and believing and acting upon what the Bible teaches, does not solve all our problems” (19). Biblical theology is Christ-centered, meaning “biblical theology shows the relationship of all parts of the Old Testament to the person and work of Jesus Christ and, therefore, to the Christian” (23). Likewise, “Biblical theology enables us to discover how any Bible text relates to ourselves. Because Christ is the fixed point of reference for theology, we are concerned with how the text relates to Christ and how we relate to Christ” (71). “Biblical theology is a methodological approach to showing [how all parts of the Old Testament relate to Christ] so that the Old Testament can be understood as Christian Scripture” [cf. 2 Timothy 3:14–16]” (23). “Biblical theology needs to emphasize some theme or themes which provide basis for understanding the single, unified message of the Bible” (77). Any valid biblical theology will show from Scripture is unified message, and how it relates to the final and full revelation of God in Christ (Hebrews 1:1–2). 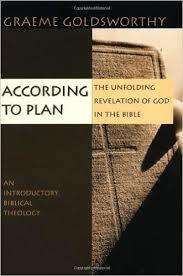 “Biblical theology provides the basis for the interpretation of any part of the Bible as God’s word to us” (25). As William Dumbrell has said elsewhere, “Interpretation of the Bible demands a framework within which the details are set. . . . We need to know the big picture before we look at the details.” (William Dumbrell, The Search for Order: Biblical Eschatology in Focus, 9). Biblical theology, speaking generally, stands between systematic theology and exegetical theology. In practice, biblical theology is most like historical theology, as “it contains a history of God’s revelation to mankind” (32). At the same time, biblical theology is what insures systematic theology is biblical, as “systematic theology will constantly make use of biblical and historical theology” (32). That said, biblical theology is most closely related to exegetical theology; it is “the last stage of exegetical theology . . . which examines the process of progression of God’s revelation to mankind” (35). Not every “biblical theology” is equally biblical, for “many biblical theologies have been written in which the biblical presuppositions have been rejected in favor of humanistic ones” (48). Importantly, biblical theologians must the inspiration, authority, and unity of the Bible. God made every fact in the universe, and he alone can interpret all things and events. Because we are created in the image of God we know that we are dependent on God for the truth. As sinners we suppress this knowledge and reinterpret the universe on the assumption that we, not God, give things their meanings. Special revelation through God’s redemptive word, reaching its high point in Jesus Christ, is needed to deal with our suppression of the truth and hostility to God. A special work of the Holy Spirit brings repentance and faith so that sinners acknowledge the truth which is in Scripture. Biblical theology should learn how to read the Bible from the apostles — “Jesus claims . . . he himself is the subject of the Old Testament. His teachings constantly point to the Old Testament as that which he fulfills. Thus the Old Testament does not stand on its own, because it is incomplete without its conclusion and fulfillment in the person and work of Christ” (52). Biblical theology should be a Christian endeavor – “In doing biblical theology as Christians, we do not start at Genesis 1 and work our way forward . . . Rather we first come to Christ, and he directs us to study the Old Testament in the light of the gospel The gospel will interpret the Old Testament by showing us its goals and meaning. The Old Testament will increase our understanding of the gospel by showing us what Christ fulfills” (55). Biblical theology recognizes that God’s Word is a “progressively revealed revelation” — The Old Testament “is revelation because in it God makes himself know. It is redemptive because God reveals himself in the act of redeeming us. It is progressive because God makes himself and his purposes known by stages until the full light is revealed in Jesus Christ” (57). Biblical theology avoids the mirrored extremes of literalism and allegory — “Literalism involves the very serious error of not listening to what the New Testament says about fulfillment. It assumes that the fulfillment must correspond exactly to the form of the promise.” Conversely, “allegory assumed that history is worthless as history. Allegory results when a supposed hidden meaning is read out of something that on the surface is historical but which in fact has no value as history” (67). 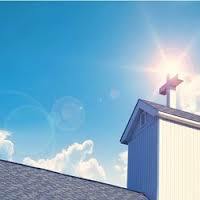 How Does the Church Glorify God? A close reading of Scripture shows that God pursues his glory in all areas of life. In creation and redemption, heaven and earth, the world was made to bring him glory. 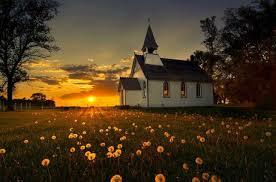 It is not surprising, therefore, to find Paul praying that God would get glory in the church. But what does it mean? [Yesterday, I preached my first sermon as pastor of preaching at Occoquan Bible Church. Leading up to that day, here’s what I wrote to our church]. for you stand firm in your faith. Joy is what pulsated in the Godhead when the world was still an idea (cf. John 17:24–26). 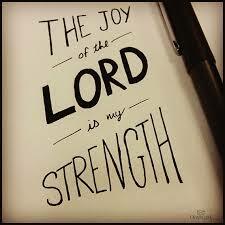 And joy is what moved God to create the world. While under no compulsion to create, it was God’s good pleasure to create a world whereby his glory could be displayed and enjoyed.